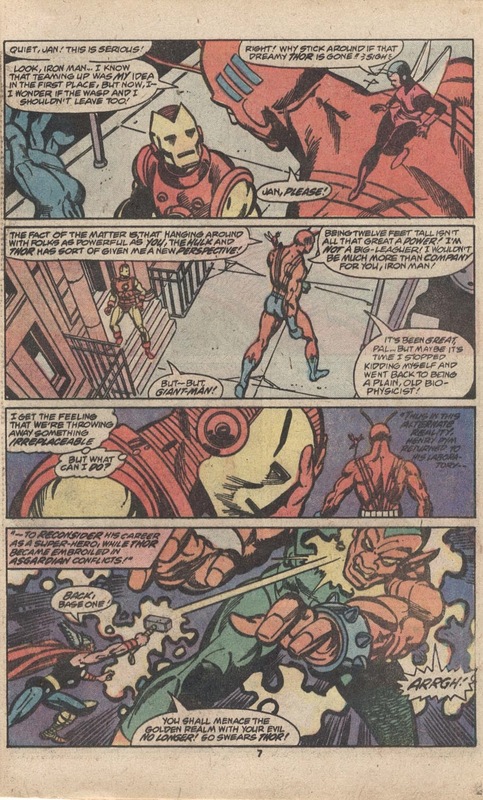 Tony just can't resist telling people off, even when he's trying to recruit them, can he? 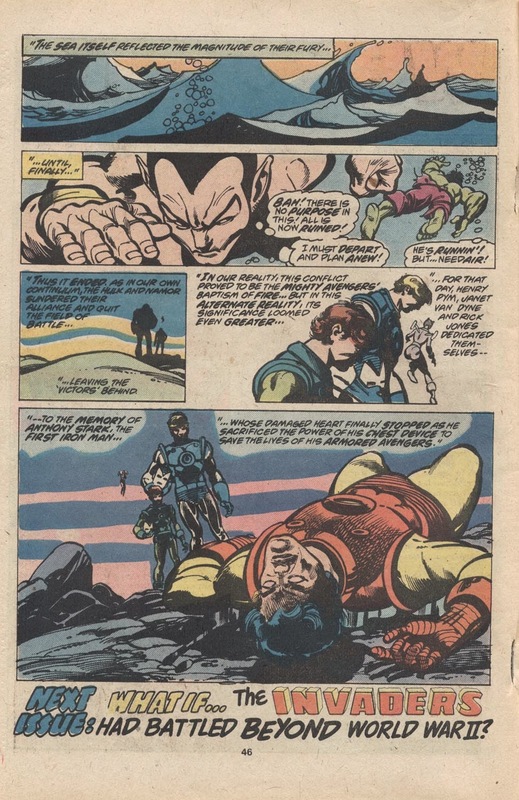 Also, why'd Namor and Hulk team up? 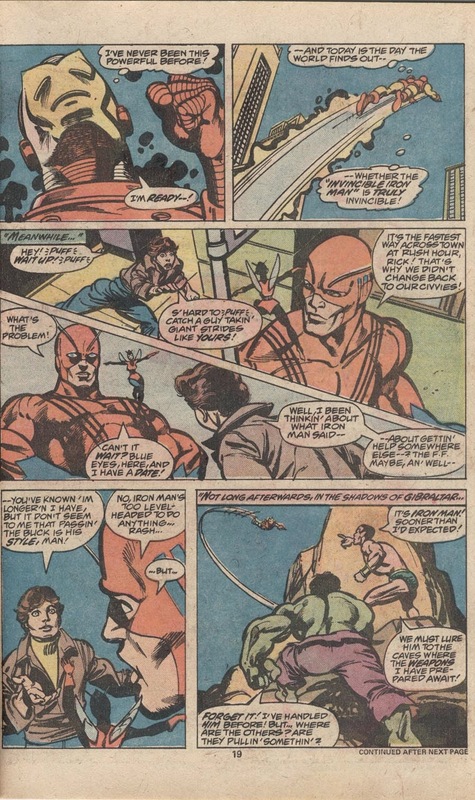 Part of the original story. 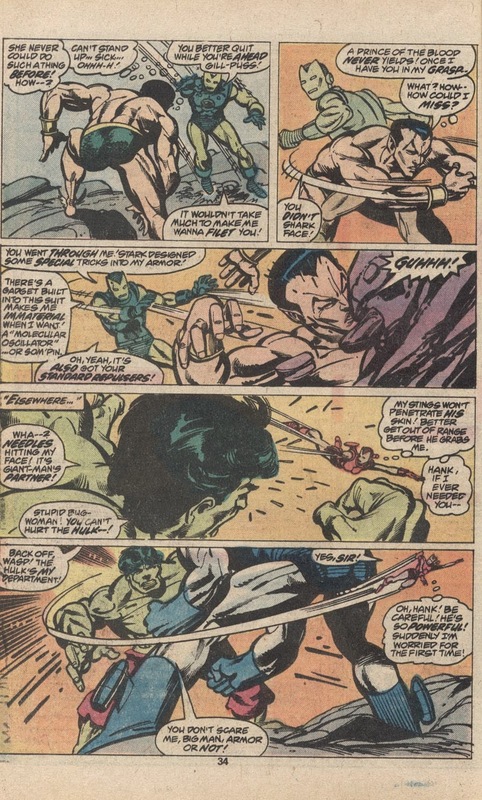 After the Hulk left, he ran into Namor, they tussled, but formed a brief alliance due to their respective distrust of humans/surface dwellers, all while planning to stab each other in the back as soon as possible. 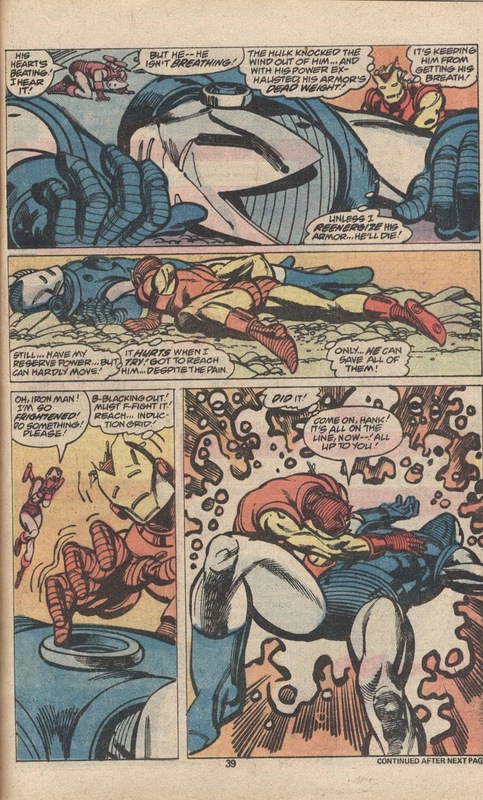 Honestly 'Tony Stark Dies' is one of the *better* possible outcomes of that, the world didn't have a lot of firepower against that kind of duo (the What If is pretty generous in letting Tony invent *phasing armor*, and heck, time to make all those suits so fast). This isn't really Janet's finest showing. Or Hank's either, given how much of a berk he's being throughout. But Jan's going along with his berkery is... pretty weird and alarming. I am glad they've pretty much retconned away that part of Jan's (and Hank's) personality. 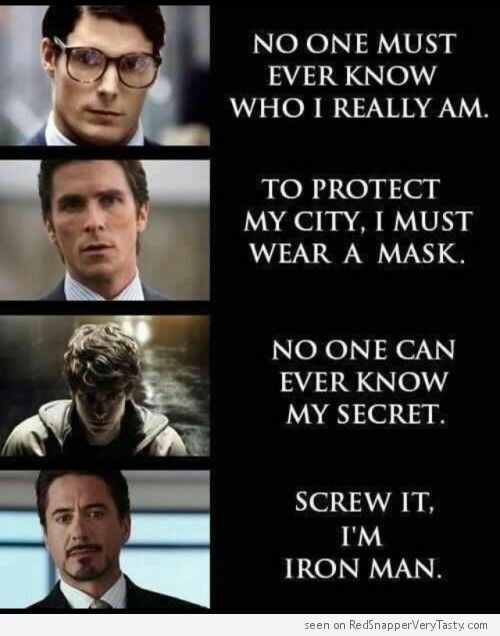 Makes how they handled it in the movie all the better. 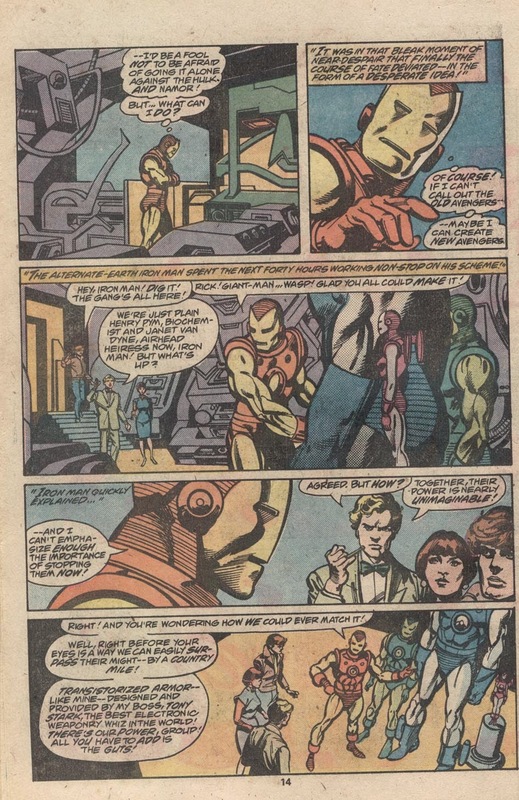 That is probably the best bit of the Iron Man movies. 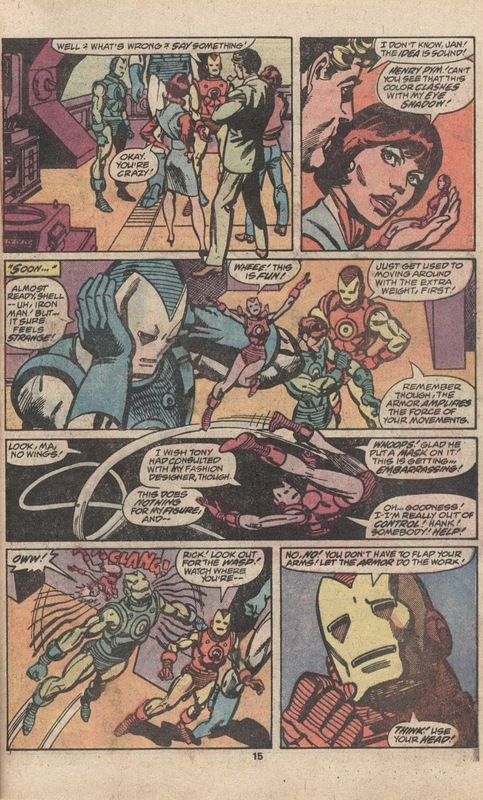 ... of course, it's helped by A: Movie Tony being so much worse at keeping things under wraps, and B: Being Movie SHIELD's idea, and like all versions of SHIELD, meant it would've been doomed to utter failure anyway. 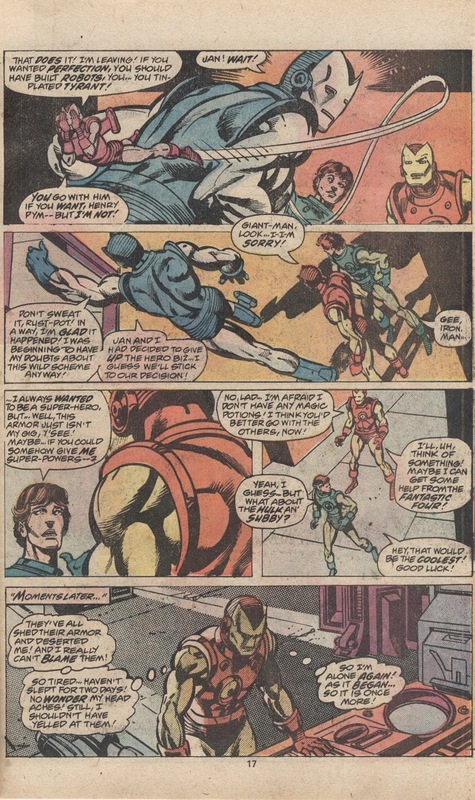 More than that, though, Tony Stark would still be liable for Iron Man's actions, and anyone who wanted to end Iron Man would have to kill Stark anyways. Well, it was less to protect him, and more because he thought that his enemies would attack his company, endangering all his employees. Another great idea from one of the minds that brought the world the Negative Zone prison. 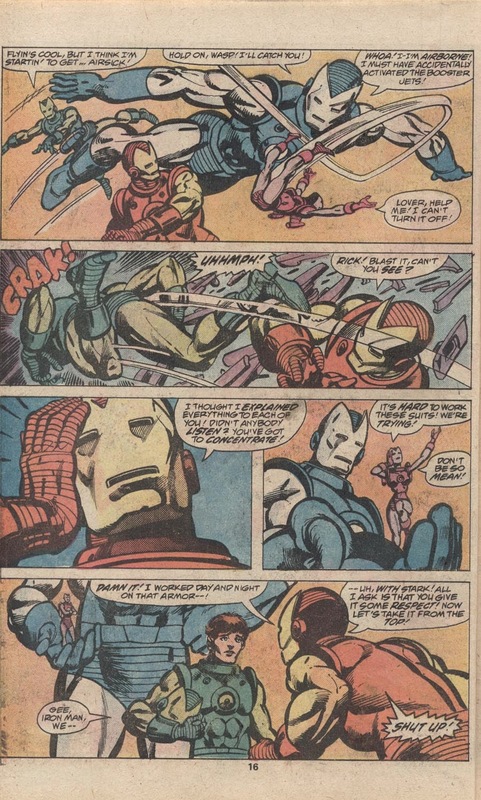 Constructing powered suits of armor for people who already have super-powers seems slightly excessive. "You're twelve feet tall and super-strong. Have armor." "You can shrink and fly. Have armor." 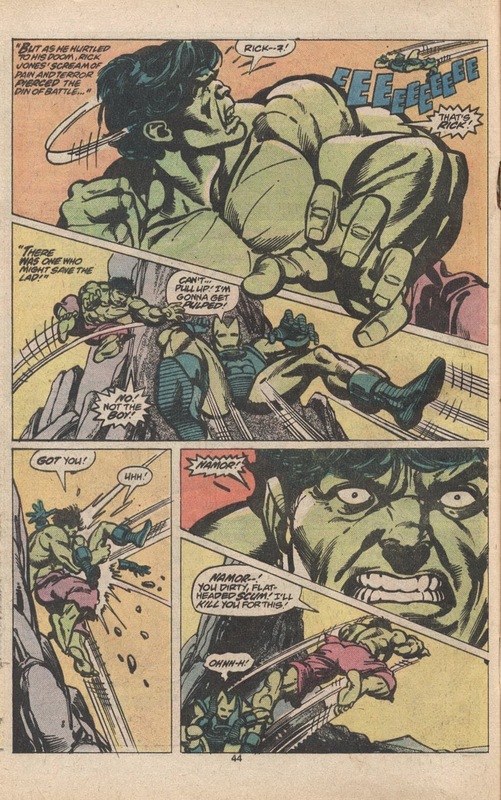 To be fair, at the point and time of the original issue, the Hulk and Namor were pretty much the two most powerful people on the planet, outside of Thor. 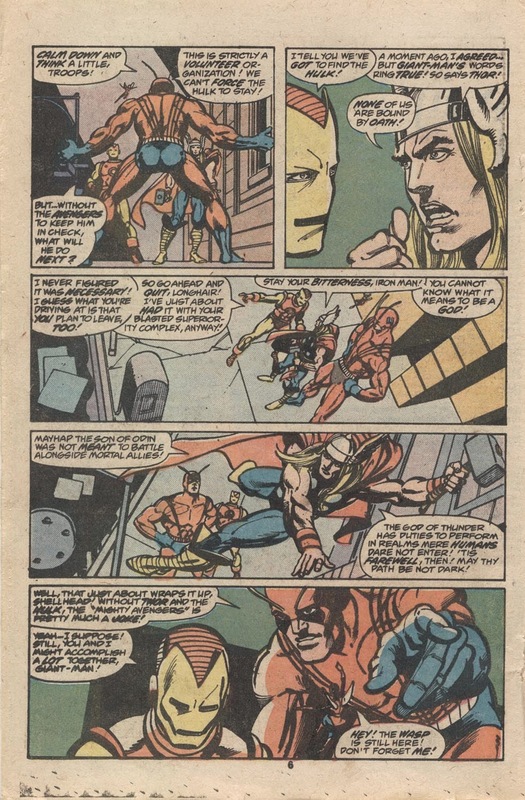 The good guys needed every advantage they could get. Plus, if all you have is a hammer, everything looks like a nail. So you give hammers to all your friends. Gotta love that cover and the way it tries to jam two different ideas into a single image. "F--- off, shellhead, we're all quitting." 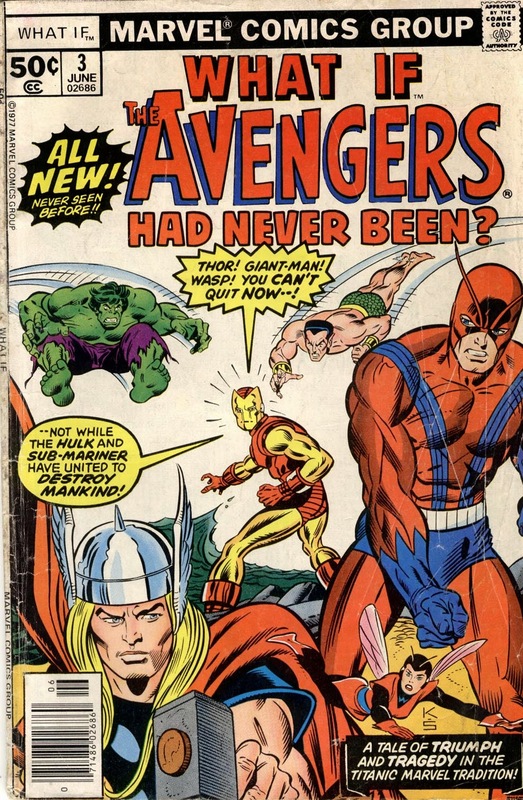 "If the Avengers had never been [except for the first two issues' worth of stories, which totally don't count] .." then the Avengers actually would still have been, only they'd be all wearing Iron Man suits for a while. Yeah, that last part didn't escape my attention, either. 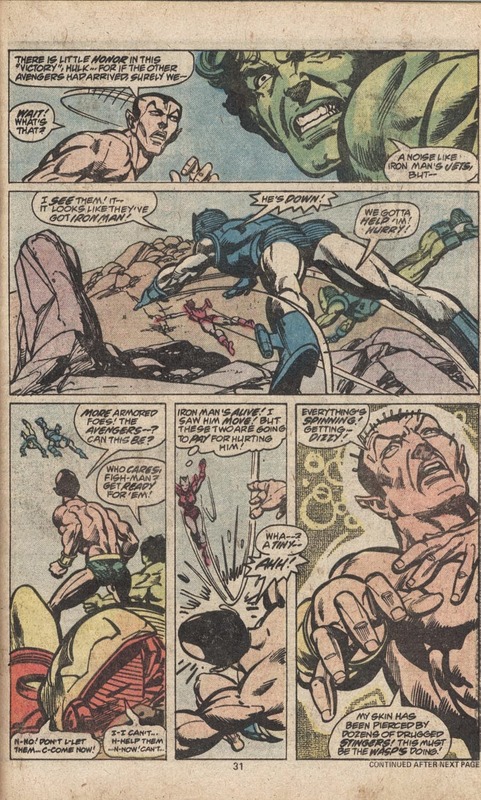 I notice that Namor and the Hulk both wander off free at the end. So I guess the whole bringing them to justice thing turned out to not be such a necessity after all?